Full-service coming soon & landing page. Opia is a fully responsive and retina ready 3D coming soon page. It offers stunning design, really great compatibility and comes with super support. 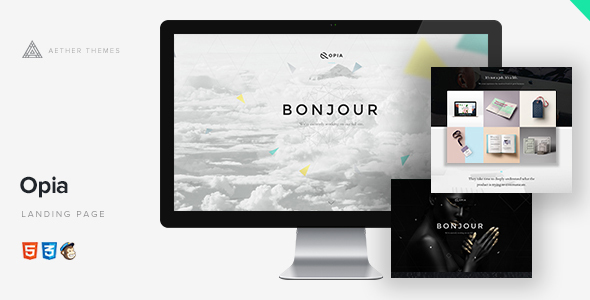 Intuitive, easy and powerful – Opia includes a vast array of features including responsive design, porftolio, 60+ icon set and MailChimp integration.